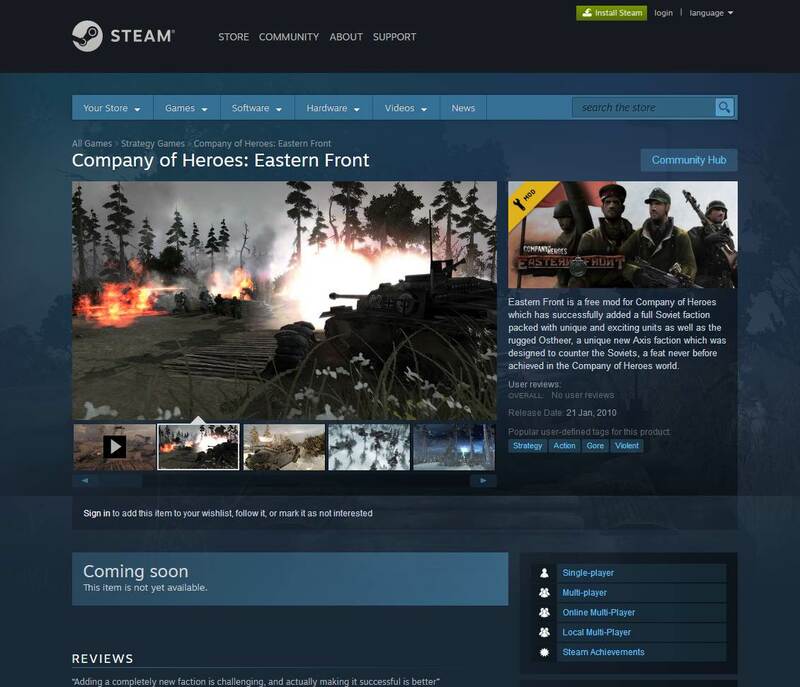 Company of Heroes: Eastern Front has achieved what so many RTS players have been wanting for so many years, the addition of the Soviet Union into Company of Heroes (1). In addition, you will also find a new Axis faction in the game, the Ostheer. Complete with new models, skins, sounds, buildings, tech trees and maps.